Ms. Dombroski focuses on the practice of workers’ compensation defense, representing employers and insurance carriers. While in law school, Ms. Dombroski served as the Publications Editor of the Intellectual Property Law Journal, participated in the Representation in Mediation Competition and worked as a student-attorney at Roswell Cancer Institute, through the law school’s Health Justice Law and Policy Clinic. Prior to joining Hamberger & Weiss, Ms. Dombroski clerked at a law firm in Rochester which specialized in labor and employment litigation and at a law firm in Buffalo which represented claimants in workers’ compensation, personal injury, and social security disability cases. Ms. Dombroski earned her Bachelor of Arts degree from Le Moyne College. She was a member of Le Moyne College’s Integral Honors Program for which she wrote and defended her senior thesis on the nature of justice. 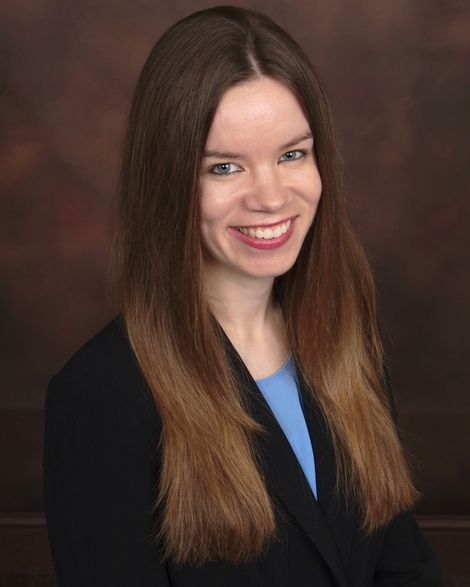 Ms. Dombroski is a member of the Monroe County Bar Association, the Bar Association of Erie County and the Greater Rochester Association for Women Attorneys. In her spare time, she enjoys reading, running, traveling and spending time with her friends and family.